Do you know why you should be networking during your job search? In business and the professional world, who you know is almost as important as what you know. Your ability to network can have enormous benefits on your career and overall life success and happiness. The larger your network is, the more support and information you will have at your fingertips. 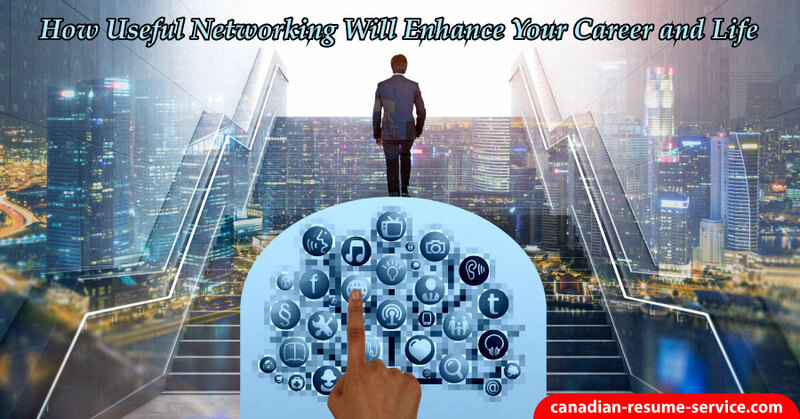 Networking is the best method to access the hidden job market to land excellent career opportunities. Below are reasons why you need to network consistently to improve your career and professional life. Networking should be a huge part of your job search plan; it is the number one way to land a job. Statistics show the majority of positions job seekers secured are through some form of networking. Also, the caliber of jobs found through networking tends to be better and more desirable. Many network in-person, and on social media platforms like LinkedIn, Facebook, Twitter. Within these platforms, you can network within groups or under hashtags, or you can follow companies, and reach out to key people including recruiters. You will find when you are actively involved your network will flourish. A personal connection to a hiring manager is a productive method to get your resume on the top of the pile. Writing a resume that grabs attention for the right reasons will also be critical to success. To prove just how effective networking is, think about ten of your employed friends. How many of your friends or colleagues got their jobs through a form of networking versus the traditional approach? I bet you find that networking far outweighs the conventional and traditional methods. To maximize your network, use the contacts you have to find others. Networking works much like six degrees of separation. Anything is possible, and you never know just who you or who a friend is connected with until you put in the effort. As a general rule, there are never more than six people between you and the person you wish to meet. Networking is the best way to access otherwise inaccessible people, as employers of prominent companies. Having contacts within certain organizations can help to learn about the company you are submitting your application in hope to receive a job interview. Reliable contacts can give you the scoop about the employer, the co-workers, the work environment, or any other helpful information. Finding out about a company will help to prepare your employment application and get prepped for an interview. Who better to talk to about the job than with someone you know, and who has an inside edge on the company? Use networking to collecting vital information on a desired industry, company, or a particular position. Consider your network a source of fresh ideas for any aspect of your career or job search. Being visible and available to your connections will build your status. Enhance your professional reputation by being supportive and knowledgeable while you are exchanging information. Networking will play a critical role if you want to make a career change from one industry to another. Or, a career transition from one position to entirely new one. Research and learn as much as possible about the industry sector or the available position you wish to secure. Researching will be incredibly helpful with each step of your job search. Another significant advantage of networks is that it is a two-way street. It’s a circle of friends or acquaintances who help each other to improve their careers. When you assist your connections, others will more than likely assist you. Everyone likes people who are helpful—fabulous opportunities will likely come to you if you are accommodating to others. In every networking situation, don’t leave without letting those in attendance know who you are, what you do, and how to contact you. A business card is a must. Lastly, remember that in every social gathering you are involved in, make sure that people leave knowing how to get a hold of you. Opportunities come from unexpected places and when you least expect them. You never know who you may talk to that could need your skills. Career leads and job opportunities come from unexpected places and when you least expect them. You never know who you may talk to that could need your skills. How has networking boosted your job search? Comment and share below! Do you need career assistance? Please review our resume and coaching services. Reach out to Candace toll-free 1 877 738-8052 or email to learn more! Next post: Is Your Resume Grabbing Attention for the Right Reasons?